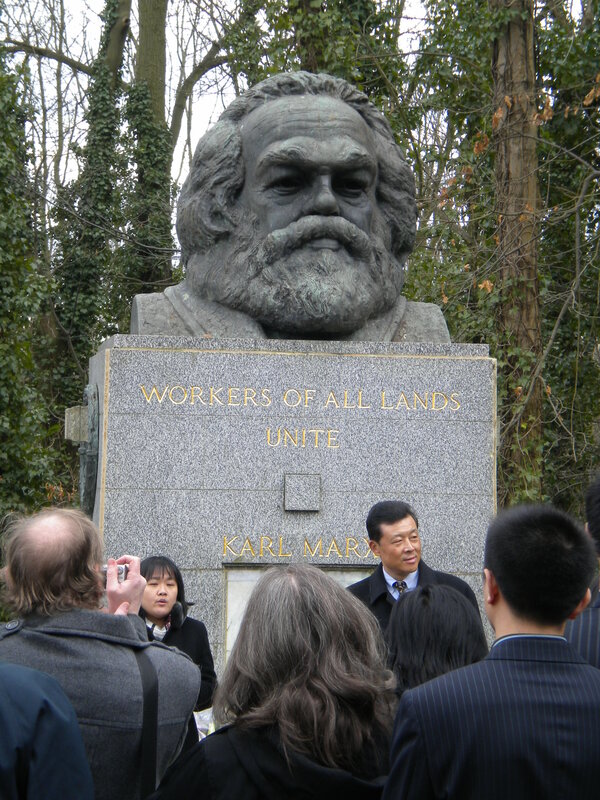 Monument at the grave of Karl Marx, Highgate Cemetery, London. Last Sunday was Mothering Sunday (the third Sunday before Easter). Being 14 March, it was also the 127th anniversary of the death of Karl Marx. Categories: socialism | Tags: 14 March, actually existing socialism, China, Communism, Dengism, Eleanor Marx, Friedrich Engels, Harry Longuet, Helena Demuth, Highgate, Highgate Cemetery, Internationale, Jenny von Westphalen, Karl Marx, Korea, Marxism, Mothering Sunday, People's Republic of China, PRC, socialism | Permalink.